Fast-forward to 1892: Frank Nelson Doubleday - then a rising star at Charles Scribner’s Sons, but who hadn’t yet struck out on his own - was collecting material for a high-end, oversized “book” in portfolio form called American Illustrators. 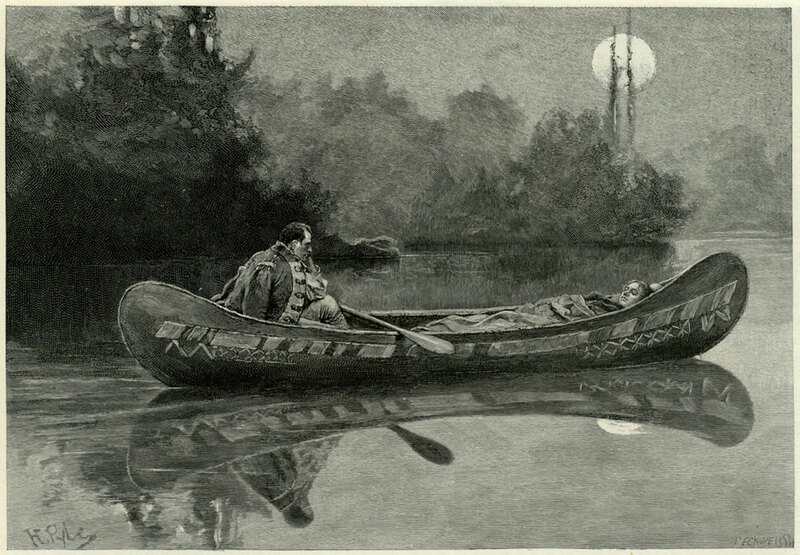 In early April, Doubleday wrote to Pyle about the project and asked him to choose one of his illustrations to be featured among the 15 finely-printed plates. 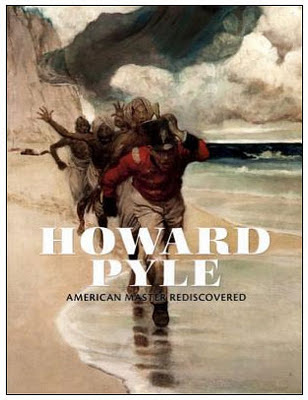 Without hesitation, Pyle picked "My hatred of him seemed suddenly to have taken to itself wings" since it was “perhaps, my best work for Scribners in black and white.” Doubleday then tracked the original to Germany (I’m not sure why it was there) and had it shipped to Pyle. 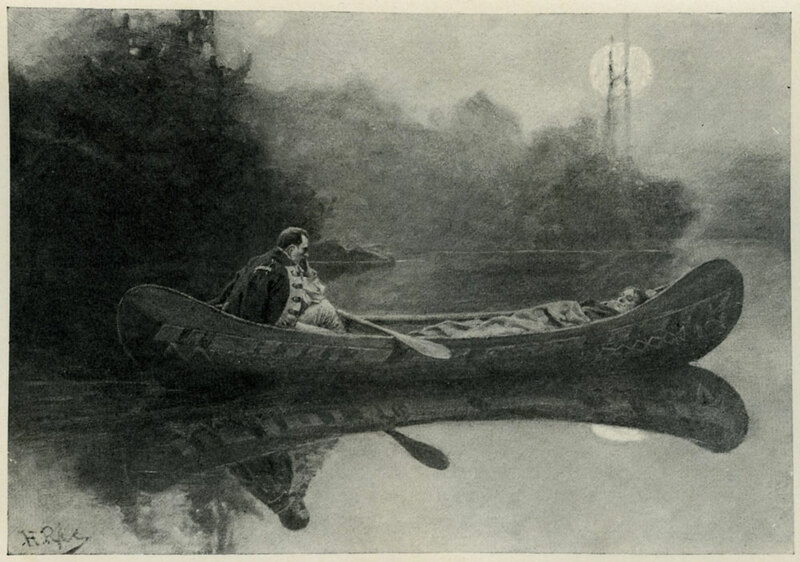 I don’t know if the original painting ever made its way back to Germany, but Scribner’s loaned it to the Trans-Mississippi and International Exhibition in Omaha, Nebraska in 1898, and in May 1913 they sold it for $150 (double, incidentally, what they had paid Pyle for it 24 or 25 years earlier) to collector William Bradhurst Osgood Field (1870-1949), and now it belongs to the Norman Rockwell Museum in Stockbridge, Massachusetts. And exactly two years ago today, Joyce K. Schiller’s short essay on the picture was posted here. I think it is pretty clear that the magazine engraver did not give an accurate sense of the original picture. In the areas that do not change between the original and the painted revision, the second engraving is plainly closer to the last one. It is very interesting to see how much Pyle learned between 1889 and 1892. From this example, it seems to me that in 1889 he's still concerned with questions of drawing and painting and how to create a believable scene. By 1892 his thoughts are much more compositionally directed and his questions of drawing and painting are answered by larger concerns than mimesis. The 1892 version has a power and clarity that the original did not. 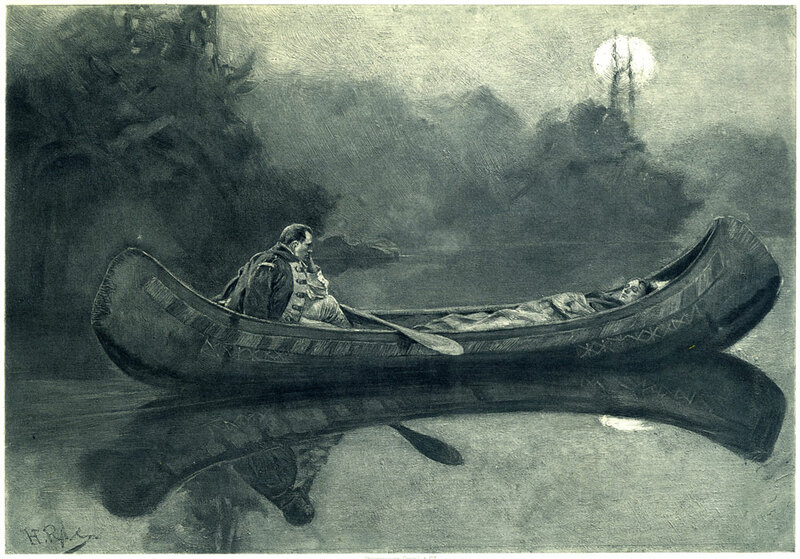 I think the final reworkings of the canoe's bow and stern may hint that the first iteration was focused on the vessel's texture while the second and third place a greater emphasis on its form, hence the adjustments in perspective. Perhaps since this is a monochromatic piece, he decided to orient the lighting more towards the quote's 2nd principle than the 1st. Thanks for posting this! It's still helpful 8 years later. There are no visuals to accompany the excerpt in Loomis' book. This really provides tons of insight into the concept.